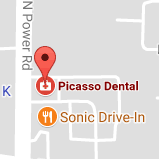 Dr. Tyrel Beavers has served the East Valley since 1997, using the latest techniques and technology to provide a comfortable and pleasant dental health experience for all ages. Dr. Beavers is committed to ongoing education and consistently invests in new training and innovation, earning the respect of his patients and peers as a leading dental implant and implant-retained denture specialist, while also excelling in general dentistry procedures and routine checkups. He attended Arizona State University and Oregon Health Sciences University in Portland, Oregon, and is an active member of several dental societies, including the American Academy of Cosmetic Dentistry, the American Dental Association, the Academy of General Dentristry, and the International Academy of Comprehensive Aesthetics. 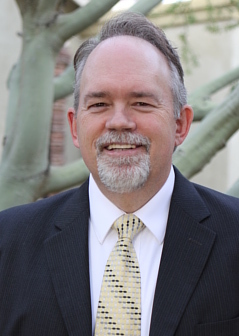 A Mesa, Arizona native, Dr. Beavers is married and has five children. Outside of the office, he volunteers with church youth organizations in the area, and loves to golf when he can find time!